PayPal entered into a partnership with Discover, the major credit card issuer, last week. Here's how shareholders of both companies stand to benefit. 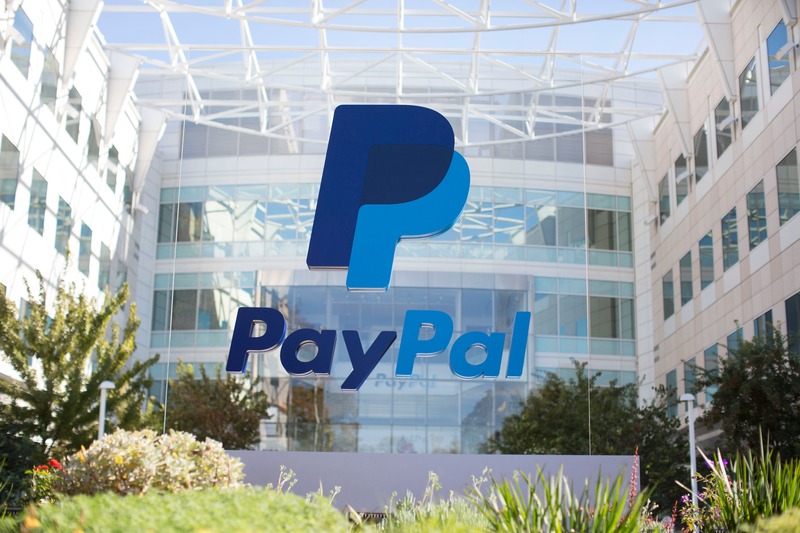 Last year, PayPal Holdings Inc (NASDAQ:PYPL) announced it was going to prioritize customer experience by offering more payment options than ever before. PayPal management believed this would enhance its platform's convenience and lead to higher user engagement. In PayPal's 2016 second-quarter conference call, CEO Dan Schulman stated: "Being a customer champion means always prioritizing the needs of our customers. ... By making customer choice a priority for PayPal, we are creating a significantly better customer experience to accelerate adoption and drive engagement." With this mindset, it is no wonder that PayPal finished 2016 on a wave of deal-making momentum. In the past 12 months, PayPal completed agreements with a number of financial and tech companies including Alibaba Group Holding Ltd (NYSE: BABA), Citigroup Inc (NYSE: C), Facebook Inc (NASDAQ: FB), Mastercard Inc (NYSE: MA), Visa Inc (NYSE: V), and Vodafone Group Plc (NASDAQ: VOD). While a new year has been ushered in, it is clear PayPal's philosophy has not changed. Last week, PayPal entered into another major agreement, this time with credit card issuer Discover Financial Services (NYSE:DFS). The deal appears to be similarly structured to PayPal's prior deals with Mastercard and Visa. The main thrust of the agreement is that PayPal will be given access to Discover's tokenization services, giving PayPal customers the option to pay with their Discover cards via PayPal's app wherever contactless payments for Discover are accepted. The Discover card will also be clearly presented in the PayPal wallet "making Discover easily identifiable to cardmembers when paying." Another added benefit for joint account holders is that they will be able to make payments online or via mobile with their Discover credit card bonus rewards. In the press release, Diane Offereins, Discover's president of payment services, stated: "Discover is focused on making the payments experience seamless and secure for both cardmembers and our merchant partners. This agreement with PayPal helps expand consumer payment choices by providing additional ways to transact, and builds on the growing adoption of digital payments." In a world where consumers can pay for a pizza on an app 15 minutes before picking up their pies at the restaurant, the lines between point of sale, online, and in-app purchases are increasingly blurred. This makes it imperative that payments companies' customers have options to utilize their payment accounts however they wish. This deal accomplishes this for both companies. The agreement expands PayPal's point of sale presence and gives Discover account holders more payment and reward redemption options. For both companies, the deal should only enhance the customer experience by adding more choice and convenience to the payment experience. Some analysts have expressed concern that these types of deals might hurt PayPal's transaction margin and, truth be told, it has slowly declined. The margin was a healthy 65% in 2014's first quarter and just 58.7% in its most recently reported quarter. Schulman has countered, however, that the company will not be a "slave to margin performance" from quarter to quarter if it comes "at the expense of investing in the business." It should also be noted that PayPal's other metrics continue to shine. Revenue rose 18% and non-GAAP EPS grew 14% year over year in PayPal's 2016 third quarter. The number of active accounts reached an all-time high of 192 million, an 11% increase year over year. Payment transactions per active account were up 13% year over year. If PayPal can continue to drive user engagement, measured by transactions per active account, revenue and earnings will continue to grow. Given PayPal's guidance for stabilizing margins and its track record of growing its business, long-term investors in the company probably have reason to celebrate another important partnership.